Get Better Sleep: The Truth Behind Your Insomnia! If you frequently have trouble falling asleep or find that you wake up in the middle of the night and cannot fall back asleep, read on. A neurotransmitter deficiency can be at the root of insomnia. First, know that you're not alone. The CDC now considers poor sleep a public health problem — linking insufficient sleep not only to car accidents and industrial disasters but to more serious diseases like diabetes, hypertension, obesity, depression, and cancer.1 As the Better Sleep Council points out, sleep is essential for every living being. 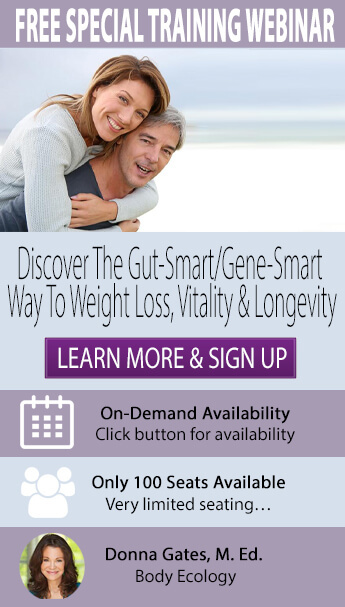 So essential, in fact, that your body will die from sleep deprivation before it will die from food deprivation.2 And while a healthy gut and a good night's sleep may not seem to have much in common, the reality is that your nighttime zzz's are dependent on several factors, all of which have a relationship to a happy and healthy gastrointestinal tract. Insomnia is no laughing matter! If you're having trouble sleeping at night, it's time to support your gut health and reduce inflammation with a daily probiotic like Cocobiotic. Stress is often the most common factor affecting sleep patterns. Whether it is long work hours, a new baby, mental restlessness, or a state of illness, when cortisol, or "stress hormone," levels rise and fall erratically, this sets the body up for adrenal fatigue. Chronic states of alarm or sustained periods of stress will disrupt what is known as the circadian rhythm. The circadian rhythm is the circulation of cortisol in the body, based on various times in a 24-hour day. A healthy individual will feel bright and energetic in the morning and grow sleepy in the evening. If you have issues with falling asleep easily, staying asleep, or if you wake up fatigued, these are all symptoms of adrenal stress. If cortisol levels frequently peak and valley throughout the day, this could indicate a faulty connection between the adrenal glands and the brain. Remove coffee from the diet. Decaffeinated coffee is never a good replacement because it is not technically caffeine-free. FDA-regulated decaf coffee is only 97 percent decaffeinated. Think about allergies. Foods and substances that induce an allergic response will actually release histamine in the body. Histamine is an adrenal stimulant, so it makes sense to determine which foods induce an allergic response and remove them from the diet. Get rid of bad fats and focus on consuming only good fats. Partially hydrogenated fats inhibit adrenal hormone synthesis. Avoid overtraining or physically pushing the body beyond its limits. Over-exercise can activate the body's stress response system, which, over time, can exhaust the adrenals. Do not eat sweet or sugary foods before bed. This may cause a blood sugar crash during the night, calling your adrenals into action. Commonly, this is associated with waking up around 3 AM. Get a good night's sleep. Lack of sleep and adrenal stress can too easily become a vicious cycle. Recent studies have shown that a mother can pass adrenal fatigue on to her child. In her third trimester of pregnancy, a mother will actually draw adrenal hormones from her baby through the umbilical cord. The result is an increased risk of the child being born with compromised adrenal function. When the gut is inflamed, infected, or not functioning properly, this is a major stressor on adrenal function and can potentially overwork and exhaust the immune system. A large mass of lymphoid tissue sits just beneath the gastrointestinal wall and is in constant dialogue with the other elements of the gut mucosal barrier, such beneficial microflora. The network of immune cells and the gastrointestinal tract are both systems in the body that are extraordinarily sensitive to each other and work in close proximity to one another. It is important to note that a large percentage of people with gut permeability never actually manifest gastrointestinal symptoms; signs of an excited immune system and inflammation will arise elsewhere in the body. Consuming foods rich in probiotics is absolutely essential to supporting the integrity of the gastrointestinal lining. Enzyme support is present in food but best when taken therapeutically as a supplement. Assisting the body with enzymes is imperative to healing a permeable gut. Both good bacteria and an adequate amount of enzymes can help to minimize an immune response, and therefore cool down inflammation. These two elements are ubiquitous not only to a healthy digestive tract but also to longevity, mental clarity, and sustained levels of energy throughout the day. A neurotransmitter deficiency can also be at the root of insomnia. Both hypoglycemia and insulin resistance need to be checked and regulated when assessing levels of neurotransmitters, as well as the compromised adrenal function mentioned above. Both can affect quality of sleep. Not only do high and irregular levels of cortisol affect the circadian clock, but they also lead to insulin resistance and both have been associated with neurotransmitter deficiency. Stabilizing blood sugar levels is necessary to address neurotransmitter activity and to repair adrenal health. The gut actually makes 90 percent of the neurotransmitters in your body. A part of working with a neurotransmitter deficiency is making sure that the digestive tract is functioning properly. Digestive enzymes and probiotic beverages are the place to start. Any kind of inflammation in the digestive tract, which is common with a permeable gut, will compromise gut function. One of the most important aspects of health to remember is that all systems in the body are connected and interdependent on one another. When looking at any disorder, it is very important to consider all possible mechanisms involved. Each of these conditions often has a relationship with another imbalance. Following Body Ecology principles and using tools to reduce an inflammatory response in the gut are baseline approaches to curtail bouts of insomnia. In cases where a neurotransmitter deficiency is triggering insomnia, digestive enzymes and probiotic beverages can help to balance the gut; the gut produces 90 percent of the neurotransmitters in the body. "Insufficient Sleep Is a Public Health Problem." Centers for Disease Control and Prevention. "Sleep Statistics & Research." The Better Sleep Council. Pillai, Vivek, Thomas Roth, Heather M. Mullins, and Christopher L. Drake. "Moderators and Mediators of the Relationship Between Stress and Insomnia: Stressor Chronicity, Cognitive Intrusion, and Coping." Sleep (2014). Print. "Stress and Anxiety Interfere With Sleep." ADAA. "More Sleep Would Make Most Americans Happier, Healthier and Safer." APA. “Effects of Maternal Prenatal Stress on Offspring Development: A Commentary”. Arch Womens Ment Health. 2008; Oct 31. “Prenatal Exposure to Mental Depression, Neonatal Methylation of Human Corticoid Receptor Gene (NR3C1) and Infant Cortisol Stress Response”. Epigenetics. 2008 Mar – April; 3 (2):97 - 106. The North American Menopause Society (NAMS). "More than one-third of perimenopausal women develop insomnia: New study shows symptoms escalating over time." ScienceDaily. Ross, Julia. "Eliminating the Top Causes of Insomnia: Neurotransmitter Deficiency and Cortisol Excess." MoodCure.com. Scott, H et al. Scan J Gastroenterol. 1980, 15:81.